You’ve been working in the yard in the summer heat. You’re thirsty, really in need of a boost and for sure dehydrated. You run inside, open the fridge and grab an ice cold……….soda? Pop as we call it in Buffalo. Regardless of what it’s called, it’s garbage. 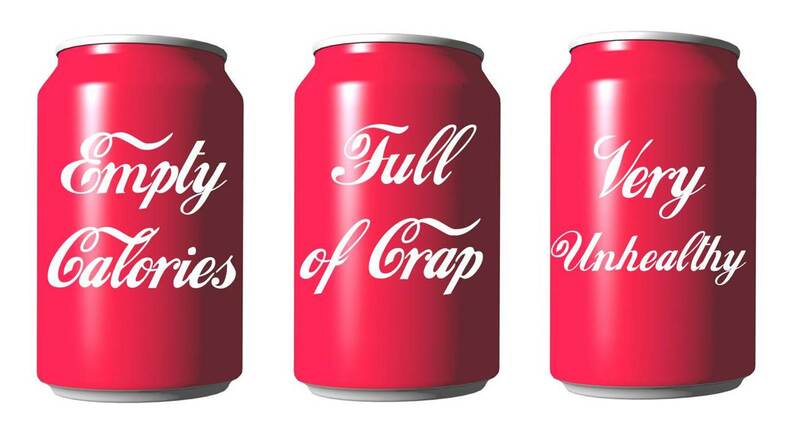 10 teaspoons of sugar per can, loaded with useless calories, caffeine and extremely acidic. Sounds good right? Breaks down the enamel on your teeth, leads to obesity and can cause diabetes and cancer as well. And we as a nation consume close to 50 billion liters of soda every year; breaks down to approximately 57 liters per person. Can this be a major contributing factor to our sick-ridden society? Maybe it’s responsible for billions of dollars spent each year on healthcare? According to the Center for Disease Control (CDC), about half of the population drinks a sugared beverage each day, males consuming more than females. Teenage boys consume the most and average around two cans per day. Dietary recommendations suggest limiting calories from sugared drinks to less than 64 per day, about half of a 12 ounce can of soda, which is 140 calories. In the past, there has been efforts to reduce children’s access to sodas and other sugared drinks in schools and beverage companies have agreed to remove full calorie soft drinks. But, the CDC found that only 1% of soft drinks are being consumed at school, while the majority are actually being consumed at home. So, the problem is actually at home and further education is needed to empower parents to make better choices that will ultimately allow children to make healthier decisions as well. When you drink a can of soda, sugar in the form of high fructose corn syrup spikes your blood sugar and elevates insulin levels. Your liver responds to the increased insulin levels by turning the sugar into fat. Caffeine increases your blood pressure and causes the liver to dump more sugar into your bloodstream. After the blood sugar spike, you begin to crash and this is usually how the vicious cycle of replenishing with more soda and sugared drinks occurs. It’s pretty simple. If you consume a lot of sugar, you are consuming more calories and therefore, you gain weight. As we have already discussed, soda is loaded with sugar and adds excess calories to your diet especially if consumed daily. One can of soda per day can increase your weight considerably in one year. Excess sugar intake from soda consumption spikes insulin levels and over time can lead to diabetes. Diabetes is a serious and dangerous disease that often leads to blindness, loss of limbs and even death. Increased insulin levels leads to inflammation and chronic inflammation is a precursor to cancer. Quit drinking soda or maybe have one per month if you’re a chronic soda drinker. By cutting down, your health will definitely improve and you will decrease caloric intake and lose weight as well. Water hydrates your cells and helps reduce inflammation. Studies have concluded that dehydration causes many problems such as insomnia, joint pain, confusion or mental fogginess, kidney disorders and headaches. Carbonated water with natural lemon or lime is a good substitute for soda as well. Soda is bad. It’s loaded with sugar and increases insulin levels affecting your body physically and mentally. It causes extreme energy crashes, fatigue and fogs mental clarity. The majority of soda consumption occurs at home, not in schools, so it’s important to educate parents. By eliminating or reducing soda, it’s possible to prevent diseases such as obesity, diabetes and cancer and to lose weight by reducing the amount of calories from sugar in your diet. Soda elimination or reduction in the amount of soda consumed and increased water intake can help improve your overall health and function. Dr. Sessa is a chiropractic physician and owner at Clearwater Sports and Wellness. He is full body certified in Active Release Techniques; a patented, hands-on soft tissue movement-based technique. Dr. Sessa strives to help those in search of wellness find a path that best suits their needs.